Lumi Experiences is excited to announce the launch of its 2020 cross country ski vacations. First on the line-up Dresden to the Dolomites, an 11-day vacation in Germany, Italy and Austria. 2020 is an exciting winter on the World Cup. There are no World Championships or Olympics, so athlete focus is 100% on the overall World Cup title. 2020 is also the first World Cup in the US since Soldier Hollow in 2001. To celebrate and give North American skiers and ski fans an opportunity to see a live European City Sprint, Lumi Experiences is offering a special tour: Dresden to the Dolomites, January 10 – 20, 2020. 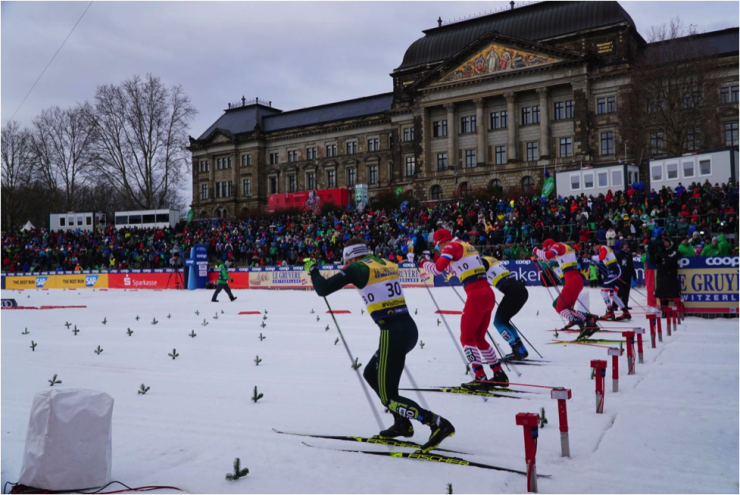 Spend the weekend cheering on your favorite racers in the action-packed Dresden City Sprint, then travel south to the Italian Dolomites for a week of skiing, followed by the opportunity to participate in the Austrian Dolomitenlauf Worldloppet event. Along the way, tour the scenic, cultural town of Dresden along the Elbe River, ski on the famous via Ferrovia railroad line turned ski trail between Cortina & Toblach, sled down a 3+ km long descent after taking a chairlift up and take a private tour through one of Austria’s oldest schnapps distilleries. Of course, like all Lumi Experiences vacations, you will be able to relax in the 3 & 4 star hotels while your trip leaders take care of the ski waxing and enjoy the delicious dishes Dresden and the Dolomites have to offer.